The Skin Cancer Foundation states that “skin cancer is the most common cancer in the United States (with over five million cases diagnosed in the United States each year) and is also one of the most preventable forms of cancer.” Even though skin cancer is clearly an epidemic, many people still refuse to wear sunscreen regularly. DFN would like to keep you safe this summer, so we will be recommending various sunscreen products that we have tested and approve of. DFN would also like to acknowledge that there are many sunscreen products that will leave dark skin very ashy. Therefore, we have made sure that all of our recommendations in this article will be amazing for all skin types and on all skin colors. This moisturizer (that has been recommended by the Skin Cancer Foundation) is one of DFN’s favorite beauty products! This moisturizer helps to absorb oil, reduce shine, hydrate and provide broad spectrum UVA/UVB protection. It even contains Oleosome technology™ which uses a lower concentration of sunscreen filters for less irritation and greater hydration. This product is the perfect multitasking product! There are some people who avoid wearing sunscreen because they believe that sunscreen will mess up their foundation and overall makeup look. Thankfully, this sunscreen (that includes ingredients to prevent aging) is lightweight, clear, and is also a primer. Therefore, this product is perfect underneath your makeup! This Murad sunscreen is also lightweight but comes with some pretty unique perks. This sunscreen (which contains Environmental Protection technology) protects skin from not two but five of the main causes of damage that accelerate signs of aging. The product protects against blue light from devices, pollution, infrared radiation, UVA rays, and UVB rays. It is very important that everyone protects their lips from the sun. This lip balm is great because it is infused with shea butter to moisturize chapped lips. Protecting your scalp and your hair is a must. This product is not greasy and is lightweight and can be used on your hair, body, and scalp. In addition to being super versatile, this spray is also water-resistant! If you end up purchasing any of the items listed on this page, please take a selfie and tag Detroit Fashion News on Twitter and Instagram @Detfashionnews and Detroit Fashion News on Facebook! Be sure to tell us how you liked our suggestions. 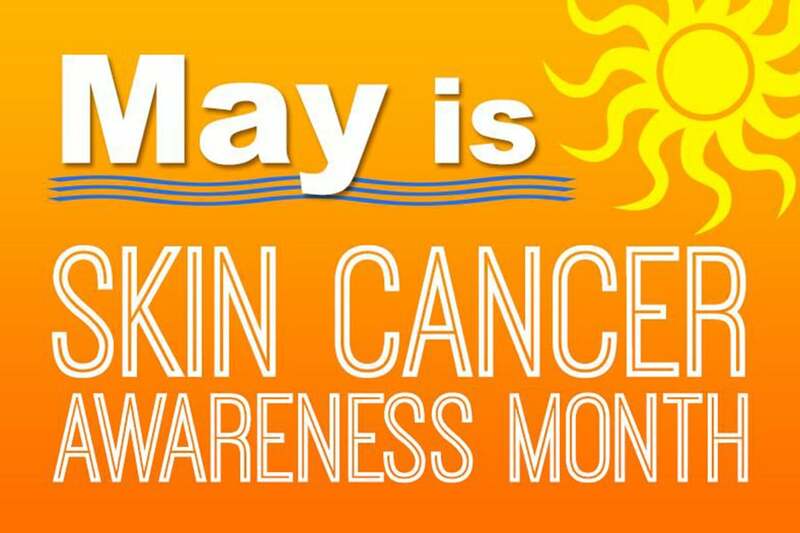 “Skin Cancer Foundation.” Treatments for Stage III and Stage IV Melanoma – SkinCancer.org, The Skin Cancer Foundation, www.skincancer.org/get-involved/skin-cancer-awareness-month.